If you are lucky enough to pass by fresh pitaya at your local grocery store or market, stop immediately! Grab one of those vibrant beauties and put it in your basket! This superfruit is not only packed with antioxidants, it also carries a slew of vitamins and minerals. And don’t let the color or prickly skin fool you, the taste is actually quite mild (think kiwi) and is perfect to add to your favorite smoothie/breakfast bowl recipes. 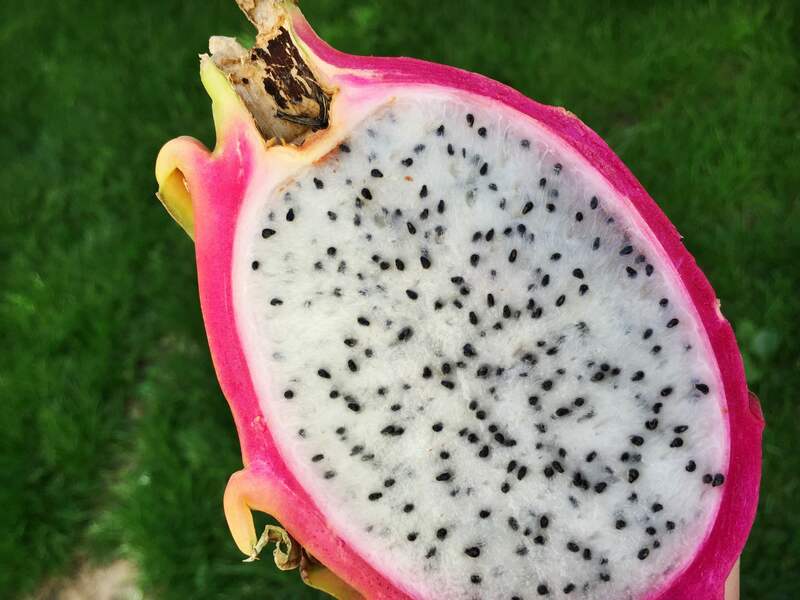 When shopping for pitaya, commonly referred to as dragon fruit, choose a fruit that is vibrant and gives slightly to pressure. It can be a little tricky to find, but is usually kept in the exotic fruit section in the produce department. Similar to acai, food markets are now selling frozen packs as well. Keep an eye out! Place all ingredients in a high speed blender (liquids first) and blend until smooth. Yep, that’s it! Transfer to your favorite glass or tumbler and serve immediately. *If you prefer a thinner smoothie, simply add additional pineapple juice. If you like it thicker, add another handful of fruit. There is nothing like feeling energized and refreshed after nourishing your body with something healthy AND tasty. Whether you add it into your breakfast routine or use it to recharge after a long workout, this pitaya smoothie is a must try. Enjoy!